After a busy few days in Munich, we headed to Rome with our friend, Vin, and her friend and our new friend, Linda. Linda is working in Munich and wanted to explore outside of Germany so we all decided on Rome. Both Kyle and Linda had been before, but Vin and I had not. 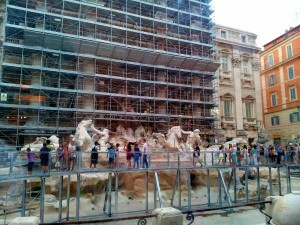 Rome is known as a major tourist destination, and my expectations were very high. I had 3 goals when exploring the city: see St. Peter’s Basilica, throw a coin in the Trevi fountain, and eat 1 gelato a day. However, I was only able to accomplish two and half of these. We arrived Friday evening, and stayed in the Prati region of Rome, which was residential and calmer than the downtown area. Near our hotel, we found a great restaurant. I had heard the food was good in Italy, but I was still shocked at the quality of our first meal. The pasta was so fresh! The next morning, Kyle and I continued sampling local food and tried the espresso at Café Scassio, famous for chocolate espresso. 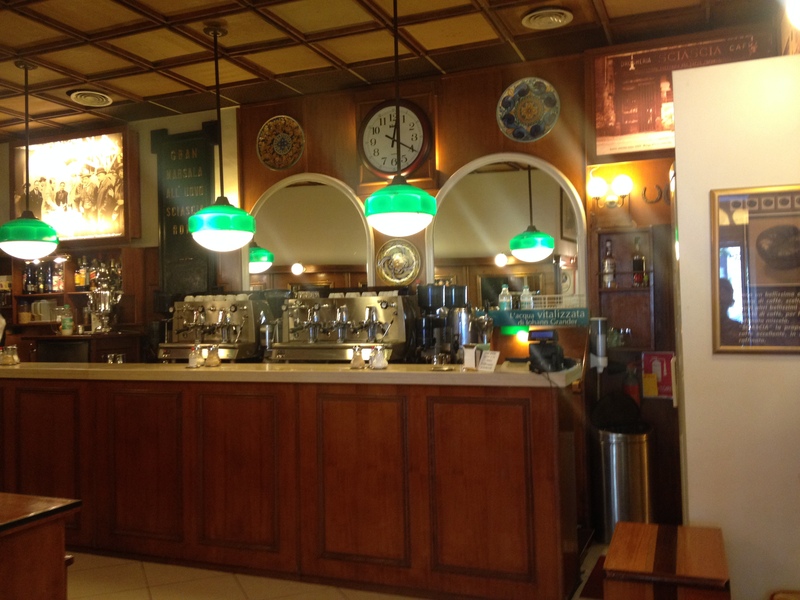 We learned how Italians order their espresso at the counter, drink it quickly, then leave. 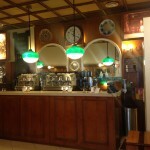 Later, we tried the gelato at Mo’s also in the Prati neighborhood. It was so good Kyle and I went back almost every day (Gelato goal: check). 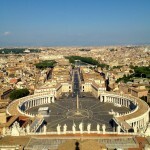 That afternoon, I was able to complete another goal: seeing St. Peter’ Basilica. Vin, Linda, and I took a tour of the Vatican, and Kyle met us later since he had already been. The Vatican Museums are huge. However, since it was the peak of tourist season, it was packed with people. The collection at the museum is unrivaled, and I would love to say the highlight was the Bernini statues, but it wasn’t. 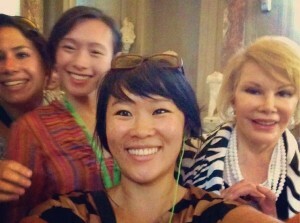 At one point, Vin and I got lost from group, and when we found Linda again, she told us she had met Joan Rivers! We were only mildly disappointed that we missed a celebrity sighting. However, later on the tour, we ran into Joan Rivers again and got a selfie with her. Then we ran into her again, and again. We couldn’t get away from Joan Rivers! After hanging out with Joan, we finally reached the two highlights, Sistine Chapel and St. Peter’s Basilica. After spending 12 years in Catholic school, I am quite familiar with the history of the Church. I remember recreating many of the painting in various art classes and learning about the significance of the symbols. To see the artwork in person was awesome. If you have not been, it is difficult to describe how massive the Basilica is, but as a frame of reference it would be possible to fit the Statue of Liberty inside of the church. 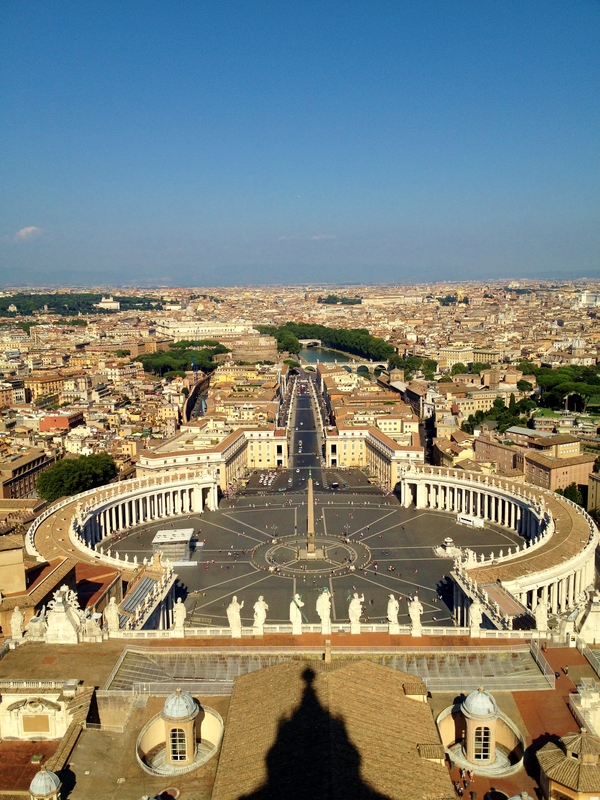 We eventually climbed our way to top and were rewarded with spectacular views of the Vatican City. Too bad! It is under construction for the summer! 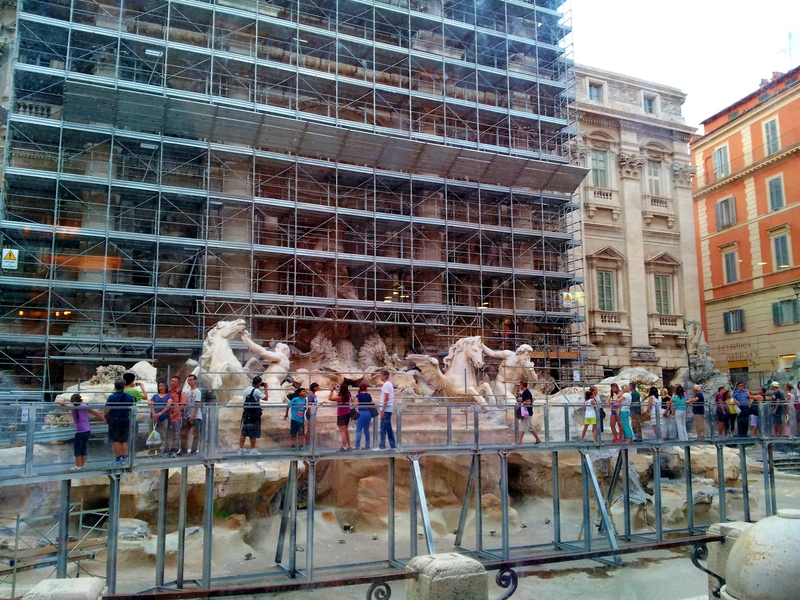 They had a small aquarium with water so I could still toss a coin into the “fountain,” which was unnecessary because I already knew I needed another trip to Rome to see the fountain when it is working! As we were walking, the city transformed from day to night. During the day, the city seems busy, but at night, people walk a little slower and everything is more relaxed. We continued on to the Pantheon, originally built in 27BC and used as a church and a tomb. As we wandered the streets and narrow alleys, we kept coming across more and more historical buildings. It was incredible how much of history was shaped in the city. Eventually, we ended in Piazza Navona, which was stunning in its’ own right, but made even better due to its’ working fountain.